A Complete SEO Guide For Wordpress Users - Wordsuccor Ltd.
Google has been very consistent with its updates. Every now and then you hear that a new Google update is launched. However, since Google has recently changed its index with its hummingbird update, no major change has come forward. As a matter of fact, every new Google update leaves a huge impact on the rankings of the websites. All black-hat SEO methods and loopholes are not only thrown to the side but also websites using such strategies to improve their rankings have received huge penalties including being banned from the Google. And today, where there are a huge number of websites that are being powered by WordPress, we are going to share useful tips on keeping your WordPress website’s ranking up-to-date without letting any new update affect your rankings. Every website wants to be on the top search results of Google and why not? After all, it is one sure shot way of getting constant organic traffic. However, there is one important thing about SEO i.e. there is no short cut to achieving better rankings overnight. In fact, the Google Hummingbird update has changed Google works today. It has come closer to a condition of adaptive learning today. Having being in the SEO market for quite some time now, we have seen that there is no fast way of doing it. There are no corners, no back alleys, and no loopholes to faster and better rankings. You cannot cut the chase and reach on the top of the results. You probably have read it on various platforms that WordPress is designed in accordance with Search Engine Optimization. There is no denying that a majority of us are big fans of WordPress – as true as this fact, WordPress software sure does need tweaking in the right direction to make it 100% SEO compatible. Overlooking this fact, many WordPress users keep making the same mistakes over and over again. We have a compiled the list of these mistakes to warn your prior your WordPress website journey starts. Categories and tags provide a huge chance for increased traffic and better user engagement on your site, but the major issue is that poor tagging and categorization usage can actually encourage users to abandon your website. There is one of the most things about your WordPress website – Tags are your index if categories are your table of contents. Tags give a better idea of your website categories and help users navigate easily and conveniently on your website. They have the power to boost your rankings in the search engines. Whether you like it or not, Google is not going anywhere. It is going to stay here only even though Google does not show Google authorship results in its search engine results page. It might come as a shock to you that Google is the second most popular social media network following Facebook outgrowing Twitter and YouTube. There are still various ways to improve your Google authorship and still strengthen your position in the search results. Surprisingly, author’s profile photo has proven to improve click-through rate by 135%. Moreover, a recent study on Moz by Cyrus Shepard has shown an additional 56% of clickthroughs. In a nutshell, adding Google authorship can drive increased traffic to a website while improving its rankings. Google has proven the importance of Sitemaps time and again. It has been seen saying that it helps them to find your website’s pages. But that’s not it! Sitemaps can be used to provide extra information about the structure of your website and metadata associated with certain media types. And not providing complete sitemap of your website is what keeping your website away from better rankings. Now that we have gone through the most common mistakes that numerous webmasters make, it’s time to discover few myths and popular opinions. Well, this used to be true a few years ago, but this no longer matters. Though updating content on a regular basis does help, but it is not essentially required. What Google needs is relevant, and useful content. If your website is still managing to drive traffic and page views, you are good to go. According to a study, out of your WordPress website users, only 1% of post a comment on your blog post. In fact, a majority of these commenters are usually on the lookout for a do-follow link or a backlink. So it is better to avoid wasting your time on encouraging commenters. 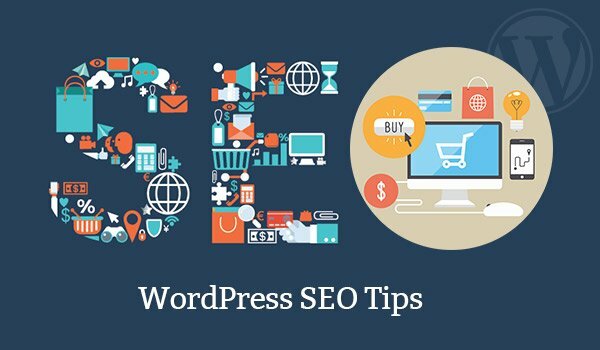 Running a WordPress website may have taught you how to optimize your content for keywords with the help of an SEO plugin. However, the Google Hummingbird update has degraded the Google’s dependency on keywords. But if you have been using keywords, it is always better to keep using them. You probably have found yourself in a situation where you find what you are looking for through Google images. The reason? Well, somethings are easier to find through Google images. There are various WordPress websites that draw steady traffic to their websites from Google images. A recent study by Kissmetrics has shown that the images captions are read 300% more than the usual content of the post. Therefore, make sure your images are optimized for search engines. SEO Optimized Images: The plugin lets you optimize your images by dynamically inserting SEO friendly title and alt attributes to your photos. A web user tends to read the post which is easy to reach. Therefore, it is always recommended to show related posts below your every blog post. It also reduces your website’s bounce rate and increase user engagement. Yet Another Related Posts Plugin (YARPP): As the name suggests, it allows you to show custom post types, posts, and pages to the current entry. Google’s recent study showed that only half of web users waited for not more than 15 seconds for the website to load. Web users tend to abandon a site if it takes more than 3-5 seconds to load. If you webpage takes forever to load, you better optimize it to not lose an opportunity to convert your visitors into customers. W3 Total Cache Plugin: It is a caching plugin that improves the user experience on your site by improving server performance and reducing the downloading time. Mobile usage is increasing at a rapid pace. According to a recent, more than 28% of website’s traffic is driven from Smartphones. The number is certainly huge for online business and therefore, it is always recommended to have a responsive website design that makes your website looks presentable on different platforms. In order to have a responsive website, you should always use cross-browser compatible and responsive WordPress themes. Running a website is no child’s play. Where there are various strategies and tips to follow, SEO is an ongoing process which can only be learned during your online journey. Today, we have discussed some of the most important tips that you should keep into account during WordPress Website Development and Maintenance.